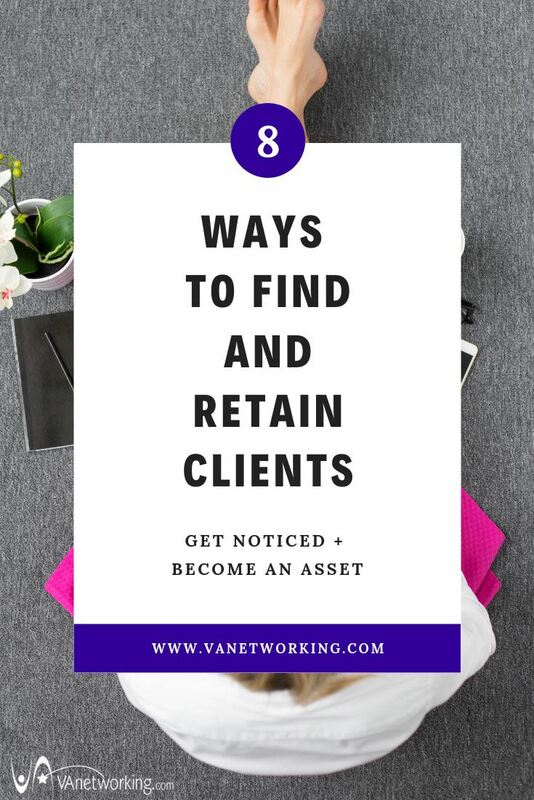 Tawnya’s Tip: If you haven’t read this post yet on where to actually find new clients read it first. Laser focus on exactly who your ideal client is by getting to know your audience better. 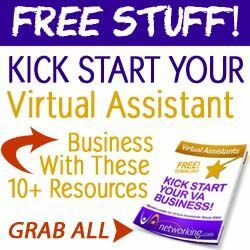 When there are a lot of Virtual Assistants doing what you do, the best way to set yourself apart is to become an expert. With your current clients, don’t forget to be free with your opinion. The worst thing you can do is NOT give your client your opinion. You want to work with people who value your opinion, so be sure to give it. Always state that it’s your opinion with some facts to back it up. Make it clear that they can go in whatever direction they want, but this is your expert opinion. You need to create a cohesive online presence so that when someone sees your picture, your name, or your words they know exactly who you are and who they are dealing with. Investing in your business automatically creates a professional appearance that can’t be matched by cheap armature looking websites and logos. Content can help you become known in your niche and it needs to be put out there on a regular basis. Entice people to sign up for your email list, add clients to a special insider’s list, and remember to market to them on a regular basis. Become proactive! Remember the TV series “Macgyver?” His problem-solving skills made him a celebrity and you need to work on being a movie star in your clients’ eyes. Why? Because not only will they love you and keep paying you money but they will also recommend your services freely to their business colleagues which mean more like-minded clients for you! Whoever your ideal client is, has problems. You need to let them know you have those answers! Be proactive with your clients and when you see a problem that they have that you can solve, or you know who can solve it, share that with them. Clients want their problems solved and even if they don’t take your advice, they’ll appreciate your knowledge and expertise. Tawnya’s TIP: We have a 3-hour long training series in our VAinsiders Club on being proactive in your business. Become a VAinsider today! Customer retention is imperative for Virtual Assistants. Monthly retained clients always make a VA smile. Acquiring a new client is costly while keeping a client in your product funnel long term is very cost effective. Whatever you can do to ensure the happiness of a good paying client needs to be considered. Providing good customer service can be the differentiator that you need. You’ve likely heard the phrase, “under promise and over deliver”. It’s excellent advice and something you should focus on doing. The more you can do that, the more your clients will perceive your work as top-notch and excellent – no matter the price. Each month that you work with your client, always figure out a way to do a little something extra that you didn’t list in your duties just to give them that wow factor. Freely give of yourself to your clients (and prospects) and they will remember you. 6. Don’t just communicate, listen too. Communication is the key to success with your client but often times we need to remember to listen more than talk to your clients. You’ve heard the saying, “You have two ears and one mouth for a reason”? Well, it’s true. Use this as your guide to listen twice as much as you talk. Sometimes talking too much is a sign of nervousness; if you can focus more on what people are saying than what you want to say, you can also calm your nervousness. Taking some time each year to review past communications with clients, analyze how you could do better, and working on improving their business will go far in helping you become an even bigger success. You may even want to set up weekly or monthly meetings with your clients to get on the phone with them and strategize, clients love this! 7. 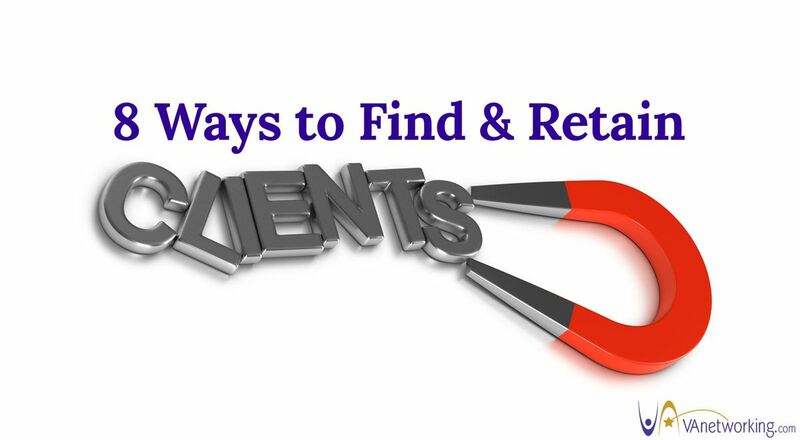 Focus on building a relationship with your client. Remember that every client is more than a paycheck. Every client is also a human being who likely values relationships over the work. It’s up to you to figure out how to build that relationship so that they want to call on you every time they have a problem or project within your niche to complete, and where they trust your advice enough to have ongoing projects and retainers for you on a regular basis. 8. Be an asset, not a liability. Clients may be too busy running their business or not on top of all the technology available to them to increase revenue in their business. By being proactive and helping them in this area, you become an asset to them that they respect and need.